Summers in Seattle are spectacular! The sunshine just feels better in the Pacific Northwest, especially with average temperatures in the high 70s to the occasional low 80-degree day. There’s nothing like a summer day taking in the cool breeze along one of the many beaches of Puget Sound. Here are some of our favorites. 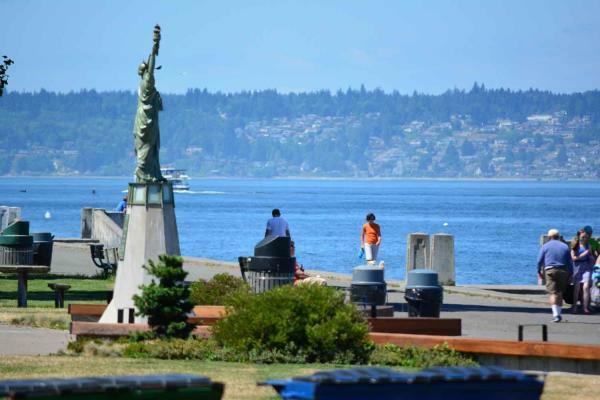 In Seattle Southside, head down to Des Moines Beach Park for some great views of Puget Sound, a long stretch of beach, and a grassy park for kids to play. You’ll have a great time soaking up the soon, walking down the pier, and you can even get a good workout running or biking down the Des Moines Creek Trail. You’ll also find a few different events taking place at and around Des Moines Beach Park in the summer. The Des Moines Waterfront Farmers Market takes place every Saturday throughout the summer, the Waterland Festival is in late July and the Poverty Bay Blues and Brews Festival is right at the end of August. A little further to the south, you’ll find Redondo Beach. Check out the aquarium at the Marine Science & Technology Center (MaST) which is free to visit every Saturday. After your aquatic adventure, dine at a Seattle seafood institution, Salty’s at Redondo. 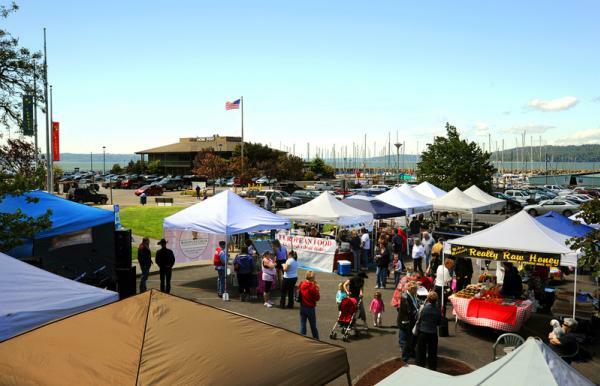 You’ll get great views (including sunsets) along Puget Sound when you sit out on the patio and plenty of fresh, local seafood to give you just enough energy to take one final stroll along the newly renovated Redondo boardwalk. 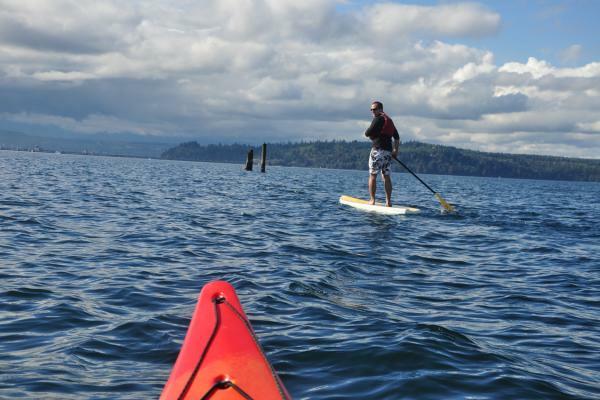 Plus, if you want to take to the water in a kayak or paddleboard, stop by the Olympic Outdoor Center and rent one for an hour or an entire day! 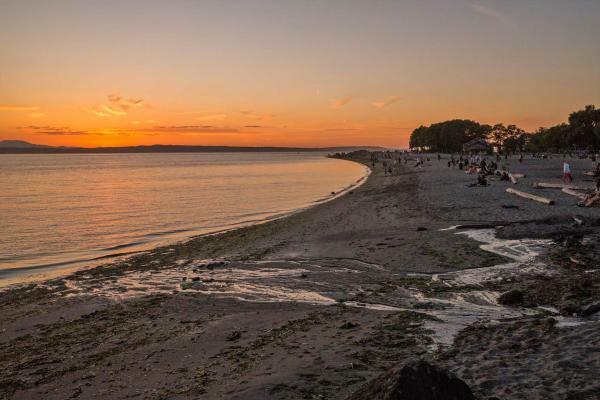 In West Seattle, you’ll find a popular summer spot that’s big with locals and visitors alike, Alki Beach. It was Alki, where European pioneers first settled in Seattle back in the mid-19th century! The beach is huge and great for playing catch with a football or baseball, lounging out in the sun, and taking a dip in the water. There are plenty of great restaurants and local shops along the beach, but fair warning: finding parking can be tricky. 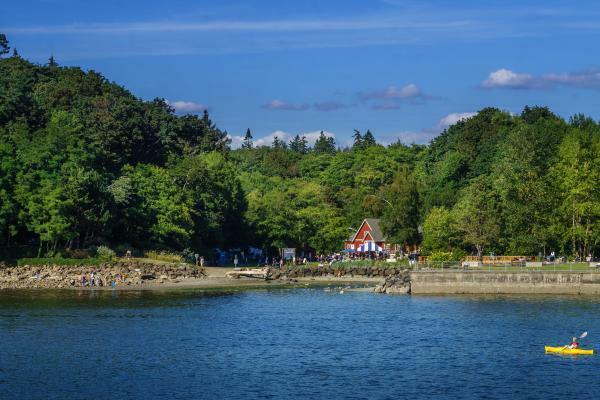 In North Seattle, Golden Gardens Park is arguably the best sandy beach in the area. The park and beach are expansive and there’s plenty to see and do on a sunny summer day. Bring your friends, a cooler full of food and drinks and roll out the beach blankets. Once the sun sets, if you came early enough to claim a fire pit, you can enjoy s’mores roasted on your beachfront campfire!